Chicago – Rev. Errol Narain and the congregation of Trinity Episcopal Church are extending open arms to protestors who will be marching against NATO this month. The church, located at 125 E. 26th Street, is the closest congregation to McCormick Place – literally in the shadow of the NATO summit. Trinity Episcopal has invited protestors arriving from outside Chicago to camp on their lawn during the weekend of May 19th – 21st. 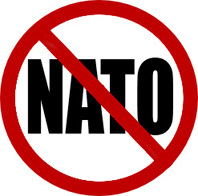 To prepare the neighbors for the sight of protestors sleeping in tents on the lawn of the church, the congregation will co-host a Town Hall meeting with the Coalition Against NATO/G8 War and Poverty Agenda (CANG8) Thursday, May 3rd, from 7 – 9 pm. Read more.